The world’s first sneaker made from recycled ocean plastic is headed for the production line. First teased in 2015, the Adidas x Parley for the Oceans Ultra Boost Uncaged is graduating from a limited run of 50 to 1 million pairs by 2017, the sportswear manufacturer said. In fact, the first mass-manufactured lot—all 7,000 pairs of them—will drop sometime this month, along with soccer jerseys for the sports clubs Bayern Munich and Real Madrid. Like the shoes, the jerseys will incorporate upcycled marine waste collected by Parley’s clean-up operations in the Maldives, a string of 1,000 coral islands off India’s western coast. 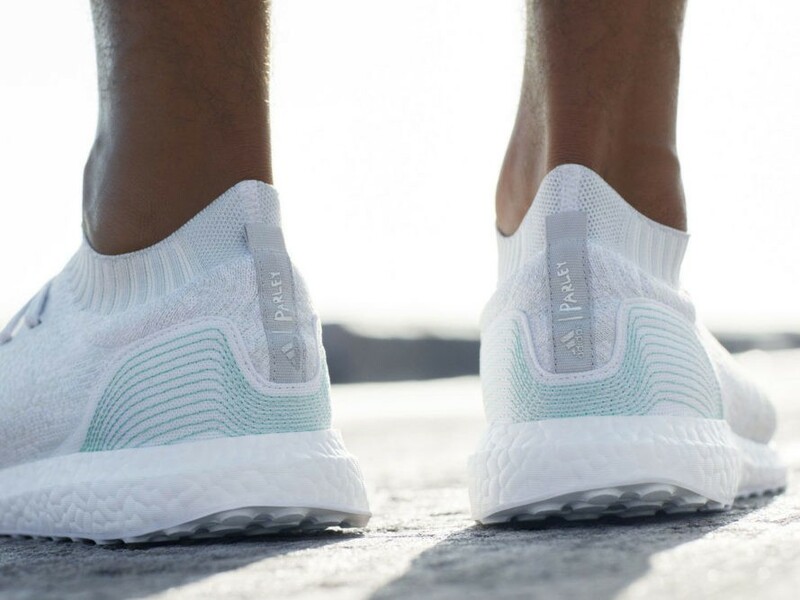 With a design inspired by ocean waves, each Ultra Boost sneaker features a knitted upper composed of 95 percent Parley Ocean Plastic—the patented term for the material—and 5 percent recycled polyester. The laces, cap base, heel webbing, heel lining, and sock-liner cover are also made of recycled materials. “Our ultimate ambition is to eliminate virgin plastic from our supply chain,” Liedtke said. Cyrill Gutsch, founder of Parley for the Oceans, says that we’re well past the point of simply talking about ocean pollution. The world's first sneaker made from recycled ocean plastic is headed for the production line. First teased in 2015, the Adidas x Parley for the Oceans Ultra Boost Uncaged is graduating from a limited run of 50 to 1 million pairs by 2017, the sportswear manufacturer said. In fact, the first mass-manufactured lot�all 7,000 pairs of them�will drop sometime this month, along with soccer jerseys for the sports clubs Bayern Munich and Real Madrid. Like the shoes, the jerseys will incorporate upcycled marine waste collected by Parley's clean-up operations in the Maldives, a string of 1,000 coral islands off India's western coast.